I have a decent design and have recently redesigned all the art. Just in the latter stages of rewriting the level designer in C# (was in VB and it was yell-at-the-screen slow to do anything). All of the 3D art has been done in DeleD, including animation (which I have only just started). I am taking my time designing levels as I want to get that right! Whoa, love those lego characters! Can you show off some of the animations as well? I'm with Jeroen. Love the lego look. Love the old guy,looks interesting . Thanks, though I am trying to change the models enough to not be lego (but I guess if I don't use the name or logo it can't be classed as "bad faith"). Yes! Got shadow mapping happening! 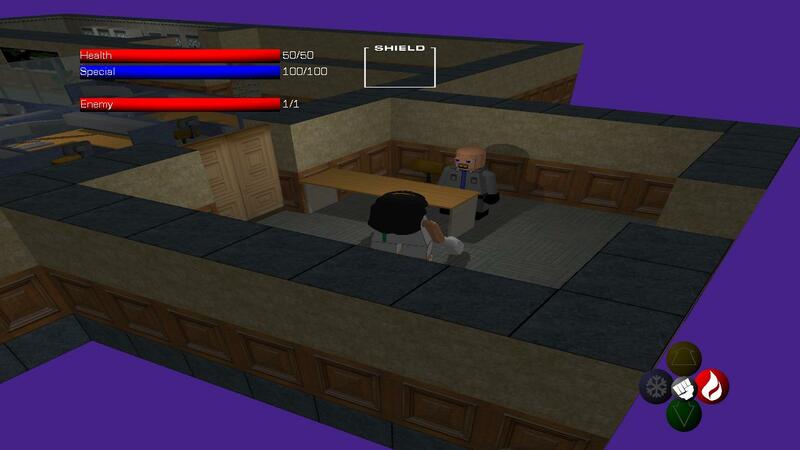 I have changed the scale of the game, relative to the player model, which seems to work a lot better. 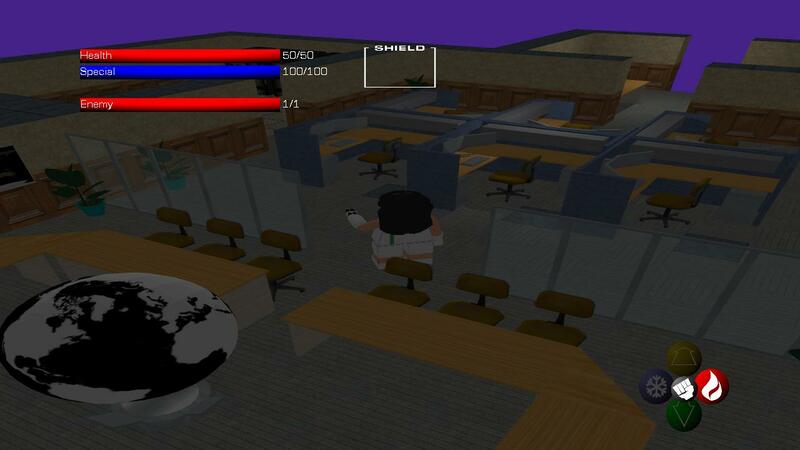 Note: The whole game is being made using models I have made an animated in Deled. Please feel free to follow it and comment on the blog. The minion is wearing No 6 (the Prisoner) jacket isn't he ? Bingo! Although, I am considering making him the main bad guy. Cool - those shadows really provide somethin' extra, don't they! They look a lot better now because I added a bit of a fudge factor when testing if something is in shadow. This was to allow for any trimming when the distance got stored as a color.